A low cost combination for Driver Card and VU Download. 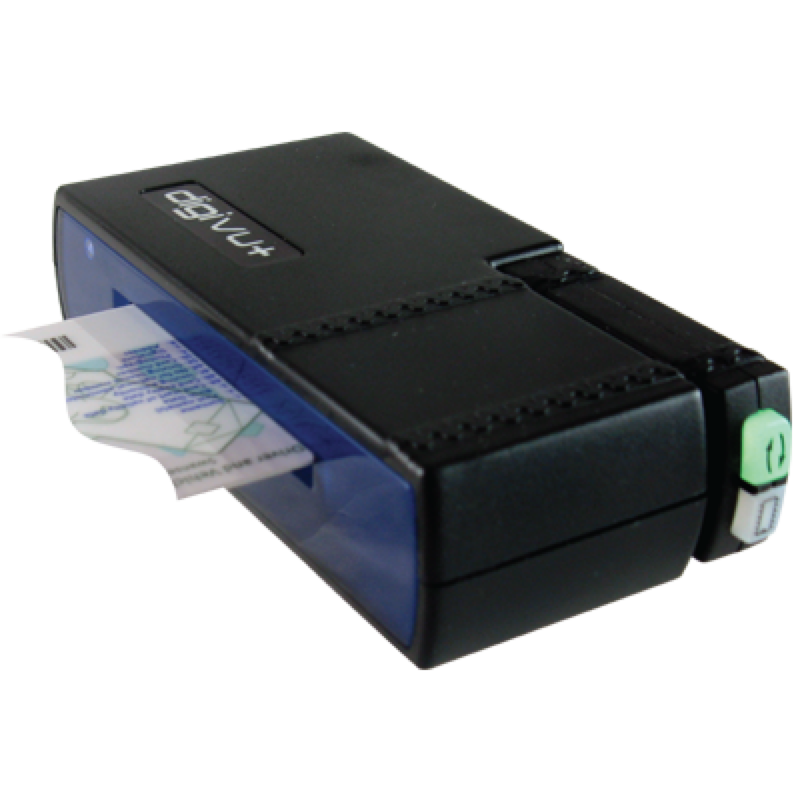 The power of digivu has been combined with our card reading technology to give you a low cost and highly efficient way to download VU and Driver Card data. Purchase a digivu+ and you can read and store both Driver Card and VU data on the included digivu. The digivu+ is powered by an independent battery source, which in turn powers the digivu. digivu will store all of the Driver Card and VU data until you connect it to a PC. When you connect, all of the data is automatically downloaded by our proprietary software, digiconnect. The digivu is supported by all the major UK analysis bureaux. No software setup, beyond the standard digivu setup, is needed to support digivu+. Download our digiVU+ tech support sheet for more information. Please note that the card reader part is not available as a separate accessory for your existing digivu. This is because the units have to be firmware compatible. Earlier digivu did not have the ability to handle independent card files.